This post is going to be a mite different, because the linked article is a book review. Normally, I don't cotton to putting book reviews in these here posts, but this one contains some mighty useful information. I reckon that it could be successfully argued that old earth Christians, theistic evolutionists, Deists, and atheists all have a low view of the Bible. Some of them are more extreme, rejecting it altogether, and others say they believe the Bible but compromise and make excuses for plain readings that they dislike. In this case, some professing Christians have saddled up uniformitarian, atheistic interpretations of facts pertaining to the Grand Canyon. (Why some who call themselves Christians insist on embracing deep time, we can only speculate.) The authors of a book on the Grand Canyon have used bad arguments to claim that it is much older than biblical creationists believe it to be. They used outdated science arguments that creationists have already addressed long ago. (Mayhaps Bill Nye was a consultant. He used arguments that creationists covered long before in the debate he lost to Ken Ham.) There are also some theological considerations to which the authors need to give some serious thought. They really need to learn the truth about recent creation and the Genesis Flood. I began this well-illustrated and much-hyped book expecting to be stimulated and challenged. Instead, I must confess a certain annoyance with its extraordinary superficiality. . . Most, if not all, of the arguments dusted off in this book have long been answered in these classics. And the rest are answered in more recent creationist works. Towards the latter part of this review, I examine some other geologic topics, but need to strongly stress the fact that it would require a full-length book to address all the fallacies of this pro-uniformitarian compromising evangelical missive. 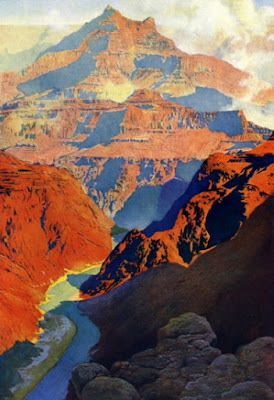 To read the rest, click on "The Grand Canyon in the thralls of shallow, doctrinaire uniformitarianism".